Open daily 10.00 a.m. — 6.00 p.m. Booking office till 5.15 p.m.
On Thursday 10 a.m. — 9 p.m. Booking office till 8.15 p.m.
On third Sunday of each month the entrance is free. Closed on Friday, the last Thursday of each month. Reduced ticket (without guided service) — 100 roubles. Temporary exhibition - 100 roubles. 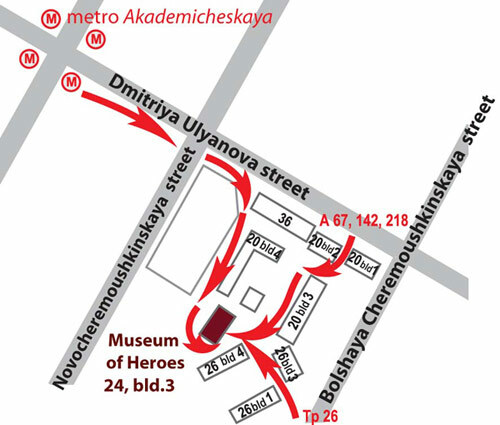 You can plan your visit to our museum with guide service in English. Our souvenir-shop offers a wide range of special publications. It’s an old tradition in Russia to celebrate the anniversaries of the 1812 Patriotic War at a high national level and to accompany it with immense festivities. 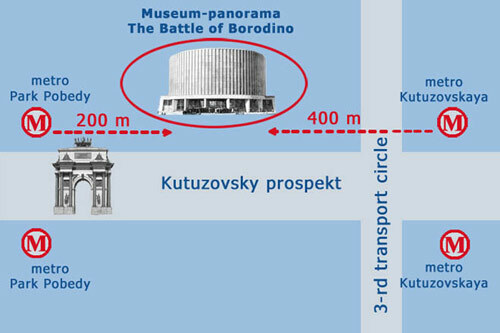 The history of the Museum-panorama the Battle of Borodino started on September 11, 1912. 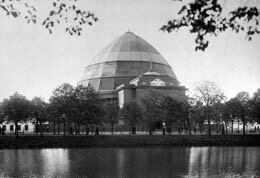 In honour of the centenary of the 1812 Patriotic War the Borodino panorama was inaugurated in a wooden pavilion on Chistoprudny Boulevard in the center of Moscow. 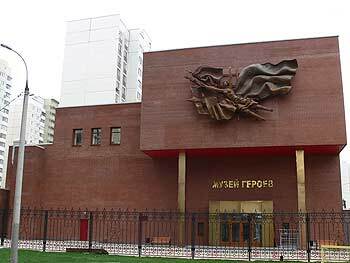 In 1962, the 150th anniversary of the Patriotic War of 1812, a new museum building was opened on Kutuzovsky prospect, on the place where used to be the village of Fili, on the outskirts of Moscow in 19th century. 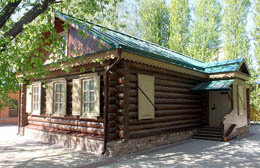 Here Field-Marshal Kutuzov held his historic Council of War in the peasant hut (izba). It was there that the fate of Moscow was decided on September 13, 1812. Not far from this place, there stands the Triumphal Arch erected in honour of the victory over Napoleon. 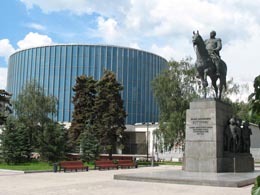 The statue of Mikhail Kutuzov by N.V.Tomsky was also set up near the museum in 1973. The highlight of the museum permanent exhibition is the Borodino panorama painted by an outstanding Russian battle artist Franz Roubaud (1856-1928). The canvas, 115 meters in length and 15 meters in height, depicts the decisive episode of the battle between the Russian and French armies near Borodino village on September 7, 1812. 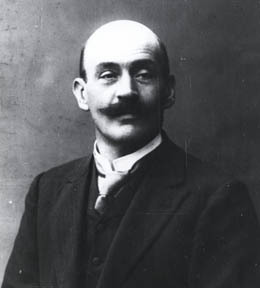 Franz Roubaud presented the high point of the battle when «all the infantry, cavalry and artillery were fighting desperately». 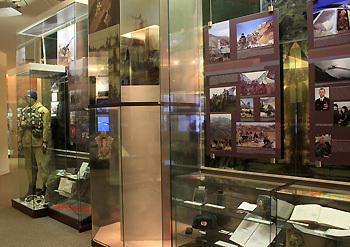 In 2012, the 200th anniversary of Russian victory in the 1812 Patriotic War, the Museum-panorama presented a renovated permanent exhibition. It was named the Honour of the Borodino Day and had a dominating idea of «man and war». 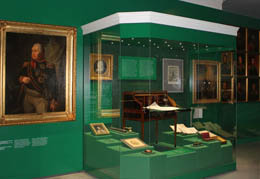 More than 800 rarities from the museum collection including battle paintings, portraits of heroes, arms, uniforms of the Russian and French armies are on display in two halls. 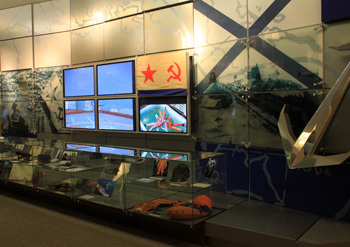 The tour around the museum is accompanied with special audio-visual effect. 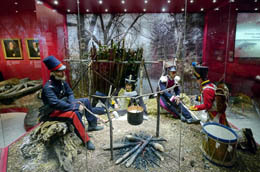 Integrated into the 1812 memorial complex on Kutuzovsky prospekt, the Museum-panorama the Battle of Borodino and the Kutuzov’s hut Museum nowadays keep holding their special positions among other museums in Moscow. This museum joined the Museum-panorama the Battle of Borodino in 2007. 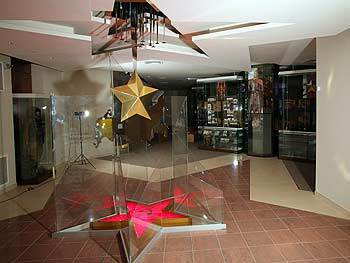 The museum collection consists of military awards and relics, photos and paintings, archives and personal belongings of those who were given the high rank of Heroes of the Soviet Union and Heroes of the Russian Federation.